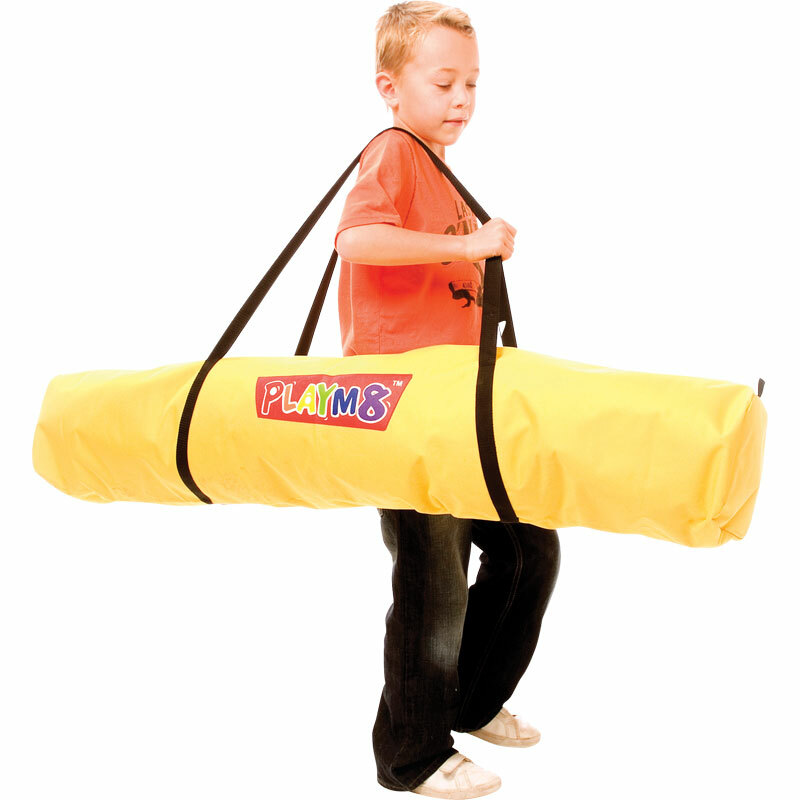 The PLAYM8 ® Holdall is ideal for all your PLAYM8 ® items that are too big for the PLAYM8 ® Yellow Storage Bag. Long carry handles suitable for holding the bag over your shoulder. Size 1300mm x 200mm x 200mm. I use a lot of PlayM8 bags. With this one, before using it I use some 0.8mm Leather/CANVAS Sewing Waxed Flat Thread to reinforce the straps at the point where they meet the bag. It extends the life of the straps on the bag. But I love these bags, I also use the larger yellow storage bag. Brilliant.